The Brother MFC-8890DW is a multifunctional work horse with a price tag that can run all the way up around five hundred dollars, but with so many sturdy, powerful features packed into a single, sizable unit, it is the perfect investment for some small offices, especially those interested in its unique, included wireless ability that allows network users to connect almost instantly, and be printing within minutes of setup. 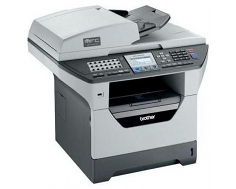 One would expect a beefy unit such as the Brother MFC-8890DW to boast a very fast print speed, and the device delivers with 32 pages per minute. Copy speeds run at the same rate thanks to a built in 50 page automatic document feeder that can eat through a stack of paper for reproduction in seconds. 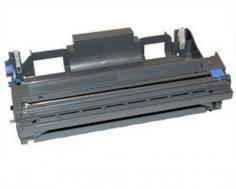 The ADF can also be used for scanning and faxing, or it can be bypassed by opening the oversized flip top lid. With a flatbed, flip top design, the Brother MFC-8890DW fits a full, legal sized document glass onto a reasonably sized unit, and allows users to make single copies the old fashioned way, and even copy three dimensional objects such as magazines. Stand alone copying is also possible, though it seems fairly ludicrous for one to shell out the extra money for built in wireless technology on a copy machine. Though high speed USB 2.0, Parallel, and even Ethernet ports are incorporated into the Brother MFC-8890DW's frame, its true claim to fame is its built in 802.11b/g wireless card that is ideal for a variety of business, and even household purposes. In a home with multiple rooms, computers can connect to the unit without hooking up a wired network and, in an office setting, portable devices such as laptops will be able to print, and even scan, easily. Standard memory included is a decent 64 MBs which is further expandable up to 576 MBs. Emulation comes in the forms of both PCL 6 and BR-Script 3, so both Windows and Mac users will have the greatest degree of compatibility. Though the Brother MFC-8890DW truly is a heavy duty unit, there are some factors that it seems Brother could have improved on for their buyers. Namely, the unit's duty cycle which ranks it at a fairly sturdy 30,000 pages per month, with 500 to 3,500 pages recommended. These numbers are sufficient for most needs, but extremely high, office level print volume could potentially overwork the device. If it does come to a device failure, Brother does include a limited one year warranty. Also, a USB direct port is integrated, but unfortunately not PictBridge compatible. 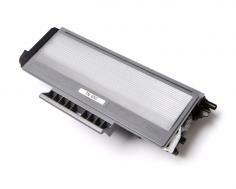 Review it: "Brother MFC-8890DW "
Standard yield toner cartridges are available for the Brother MFC-8890DW, though it is highly recommended that users go with the high yield cartridge option which, for a small increase in price, is capable of up to 8,000 pages of yield at 5% coverage. The drum unit can go for as long as 20,000 pages, which is decent, but seems a little on the low end.